You can appoint someone to handle your business and financial affairs for you with this General Power of Attorney template for South Australia residents. A General Power of Attorney is used to give the person you appoint the authority to look after your finances, business affairs, legal actions, etc. on your behalf, but ONLY while you are still capable of making such decisions on your own. A General Power of Attorney terminates if you lose the legal capacity to make your own decisions. The General Power of Attorney cannot be used to delegate the authority to make medical or lifestyle decisions. 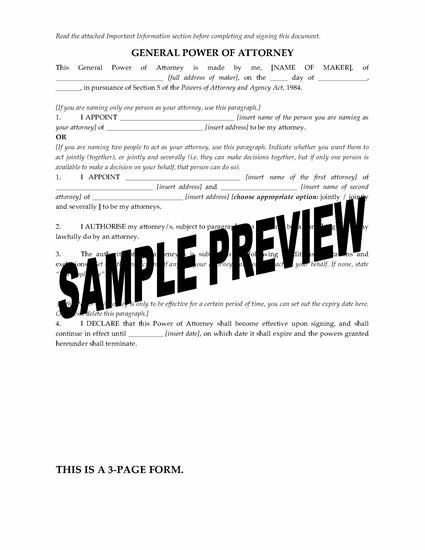 The package contains instructions on how to complete and execute the power of attorney. This South Australia General Power of Attorney template is available as a downloadable and fully editable MS Word document.